The Big Mac Index is based on the price of “Big Mac” hamburger that is sold at McDonald’s restaurants across the world. This Big Mac index was introduced by “The Economist” magazine in September 1986 as a light-hearted and informal way of comparing Forex purchasing power parity (PPP) between different currencies by means of the Big Mac PPP. To calculate the purchasing power parity between two countries, the price of “standard" goods that are identical in each country, must be compared. The humble Big Mac hamburger is ideal for this purpose as Macdonald’s restaurants are available in roughly 120 countries worldwide and The Big Mac burger is thus considered as an internationally available commodity or Mccurrency. The Big Mac PPP is quite important in Forex. The index predicts that the Big Mac currencies should even out according to the exchange rate of the respective countries. The Big Mac index predicts exchange rate changes between two currencies on the bases of the price a single Big Mac in those countries. Local McDonald franchisees have a big responsibility to regulate the price of their Big Mac hamburgers to maintain a constant PPP globally, and this adds to the accuracy of the index. The PPP Big Mac exchange rate is determined by dividing the price of a single Big Mac (Mccurencies) in one country (given in its currency) by the price of a Big Mac in a second country (given in its own currency). This figure is compared with the actual current exchange rate. If the result is lower, then the currency of the first country is under-valued. If the result is higher, then the currency of the first country is over-valued against the currency of the second country. The price of a Big Mac in the United Kingdom was £2.29 and the price in the USA was $3.57. This would result in a Big Mac purchasing power parity of $3.57/£2.29 = 1.56. The actual exchange rate at the time was $2.00 to £1. The result indicated that the pound was overvalued by 28% to the dollar. The Big Mac index accuracy is affected by factors such as cultural differences, local taxes, levels of competition, and import duties of the respective countries. The demand for Big Mac hamburgers is also different in various countries. Nevertheless, the Big Mac Index has proven itself amongst economists as valuable tool to measure world purchasing power parity. The Big Mac Index idea has been adapted and expanded by a number of different institutions since the inception of Mccurrencies in 1986. One variation by the investment bank UBS AG has expanded the index to include the time of labor needed by an average worker in a specific country, to enable him/het to purchase a single Big Mac hamburger. This model is called the working time-based Big Mac index. This index provides a more realistic feel for the actual buying power between countries as it includes factors such as local wages and salaries. We hope that our article on Big Mac Currencies will help you when taking part in Analyzing of financial statement documents. 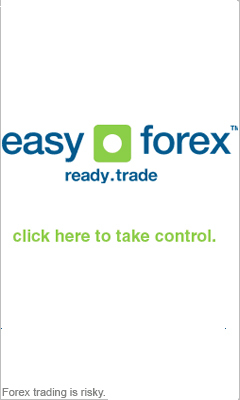 Please browse our website for more articles relating to FX big Mac currencies.